Stonelaws is a working farm 4 miles from the seaside town of North Berwick , yet located in the heart of beautiful East Lothian countryside. We are a mixed farm with horses, cattle, sheep, hens , four farm dogs (a black lab, a Springer spaniel and a Border Terrier mum and daughter) and a farm cat called Molly. We sell free range eggs from our hens, and can arrange for delivery of your shopping if you wish to arrange an online shop for your arrival (Asda, Sainsbury’s, Tesco and Waitrose deliver to the farm). We are on The John Muir Way, with easy walks to North Berwick to the north or East Linton and Dunbar to the south and east. The John Muir Way is now completed so that if you feel energetic you can walk from the west to the east of Scotland. All cottages are designed to give you a peaceful and relaxing holiday – warm cottages with underfloor heating in the larger 3, and a wood burning stove in The Bothy. TV’s have Freeview and DVD players with a good selection of DVD’s to watch, as well as a wide variety of books and games. We proved storage for your bikes if you wish to bring them, or can arrange bike hire to be delivered and returned from the farm. 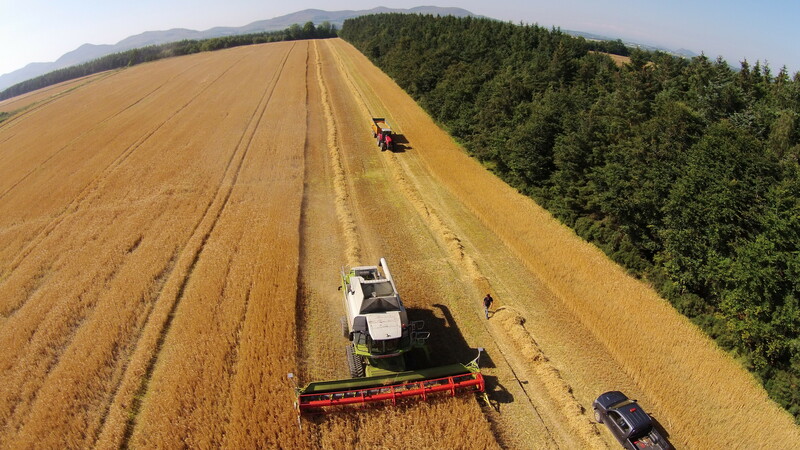 East Lothian is known as ‘The breadbasket of Scotland’ due to its consistent production of high quality cereals – as well as a fine array of high quality farm and sea produce. Knowes Farm shop is a short distance away on the edge of East Linton, providing a wide variety of local produce (vegetables, eggs, cheeses and meats) and high quality cooked foods.